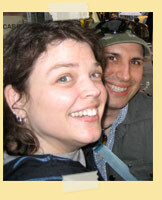 Beyond Ex-Gay was initially conceived by Peterson Toscano and Christine Bakke-O'Neill in 2006. Both Christine and Peterson were ex-gay survivors looking for a way to communicate the harm they and others had experienced while involved in ex-gay ministries. Christine was contemplating a campaign to encourage former ex-gays to write their ex-gay leaders and programs to let them know their journey. Peterson had coined the term "Ex-Gay Survivor" as part of his performance work surrounding his play "Doin' Time in the Ho Mo No Mo Halfway House." After meeting in 2005, they became friends and supported each other through continuing recovery. As one conversation led to another, they realized that so many people did not have the connections and the support that they had in each other and in other support people. HRC, along with Wayne Besen, had published the first group of survivor stories in 2002, and we wanted to follow up on that important work. This was the genesis for Beyond Ex-Gay, a place to tell survivor stories, talk about the harm caused to many by ex-gay practices and practitioners, while at the same time remaining respectful of where people were in life. Peterson and I had many brainstorming session where we defined and narrowed the scope and focus of the website and organization. It was decided that Beyond Ex-Gay would be first and foremost "by survivors and for survivors," and that we would always find our roots there. There were other groups working hard to call out ex-gay groups and organizations on public statements and policies (and doing important work), but we wanted to fulfill a need for a place for ex-gay survivors free of hard-core political work, vilifying of current ex-gays, or insistence upon survivor stories fitting into a certain mold. We wanted a place where people were encouraged to consider if any good had come out of their ex-gay experiences. We wanted a place where survivors could talk about the many layers of what drove us to try to change our orientation and/or gender presentation and a place to explore what harm looked like for each of us, as well as what healing could be. We wanted a place where people could read about others like themselves. Yes, we hoped that our stories would work to change hearts and minds, and at that time we hoped especially that Exodus International would be able to listen to the pain that we (collectively) brought to the table as part of a dialog we so wished to have with them, but always at the core was the health and well-being of survivors. We also hoped to gain media attention to bring light to the stories of ex-gay survivors, since it was our voices that were largely lacking in the debate in the public sphere at that time. The website and organizaton had a name in late 2006, but the website was just a bare bones one-page placeholder. Christine had been interviewed for an article in Glamour Magazine that was scheduled to be printed in April of 2007, and Peterson had been travelling the country performing about his ex-gay experiences and was getting increased media attention. A few former ex-gay leaders who were exploring their role in the movement, and wished to make an apology. At the same time, both Christine and Peterson had been having conversations about ex-gay therapy and survivors with Soulforce, an organization committed to non-violent resistance and change. During the fact-checking process for the Glamour magazine article about Christine, she was told they would not mention Beyond Ex-Gay or the website unless there was a considerable amount of content (they didn't want to get caught linking to a website that essentially did not exist). This put the site creation into overdirve, and it was essentially created during one very long night and finished (to an acceptable degree) by 6am the next morning, with Christine, Peterson and Steve Boese (bXg web guy) working all night. It was during that time that Peterson had a talk with Jeff Lutes, the then Executive Director of Soulforce, about putting on a conference for ex-gay survivors. The site was live, and the magazine article was published. 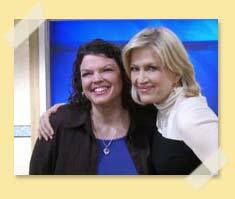 Christine appeared on Good Morning America. bXg and Soulforce, as well as the LGBT center of UC Irvine, began to produce the first (and only, thus far) Ex-Gay Survivor Conference. In three months our dream was a reality as nearly 200 people gathered for the first conference to ever address the ex-gay issue. In addition, an historic day preceeded the conference with three former Exodus leaders (one a co-founder) issuing a public apology for their role in the ex-gay movement. The apology was covered by both local and national news organizations, as well as documentary filmakers. 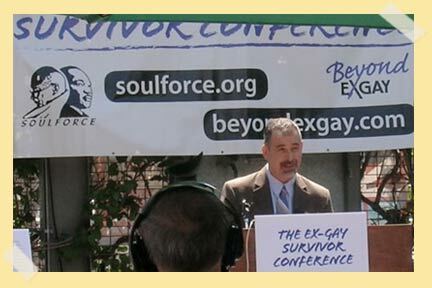 Directly after the conference, Soulforce kicked off a series of press conferences called "The Survivor's Initiative." It involved ex-gay survivors travelling to cities or locations with ex-gay programs, or other areas of ex-gay influence, and telling our survivor stories, complete with framed collages we would leave as a gift. You can read more about our eventful summer of 2007 here. 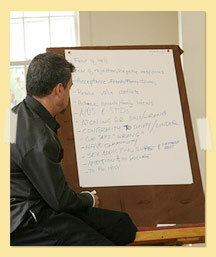 Dr. Jallen Rix became a part of the Beyond Ex-Gay team in 2008 after having been involved with the conference in 2007. Gail Dickert joined in 2010 after and has been invaluable on our community member forum as a chat facilitator, among other things. At this time, Beyond Ex-Gay is primarily focused on our survivor community, and continuing to have a presence whenever ex-gay issues are discussed. We are not a non-profit organization, mostly because this has been a labor of love, and none of the principals or facilitators have had the time or money to accomplish this. Beyond Ex-Gay has focused its energy on ways to make a difference while being a virtual organization. The Ex-Gay Survivor Survey was a long-time desire that came to fruition because of Dr. Jallen Rix and Gail Dickert. Peterson Toscano is no longer involved with the site (sometimes for our own healing and sanity, the time comes to move on). Christine is involved behind the scenes as she's able, mostly in the graphics department. 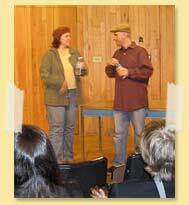 Jallen and Gail bring a lot of energy and expertise, and have become incredible contributors. That's it. That's us. That's where we've been. That's up to you. Will you help us? Will you help us by filling out the survey or helping in some other way?